I had the pleasure of watching the first 30 minutes of the Incredibles 2 at Pixar Animation Studios earlier this month. I’ve dreamed about visiting Pixar since I was a wee lass, imagining what it would feel like to walk through the atrium that’s nestled snugly in Emeryville and breathe the same air as some of my favorite storytellers. Don’t worry, there’s a separate post coming about visiting the studio for the first time. But in short, I honestly never thought I’d ever get to watch a film at one of my favorite places on earth. I had goosebumps walking into the the screening theater in the Steve Jobs building and I might’ve (OK, I definitely) had tears in my eyes and the biggest smile on my face as the lights slowly turned off before the film. The ceiling then lit up and at first glance it looked like little fireflies were floating above us, as magical soft buzzing filled the theater. At that point I had died and gone to heaven. Then without hesitation, the Incredibles 2 began. Tread lightly for some minor spoilers. It’s been 14 years since we were last with the Parr family and the action started just where it left off. I was hit with a wave of nostalgia as I was greeted with the familiar faces of Mr. 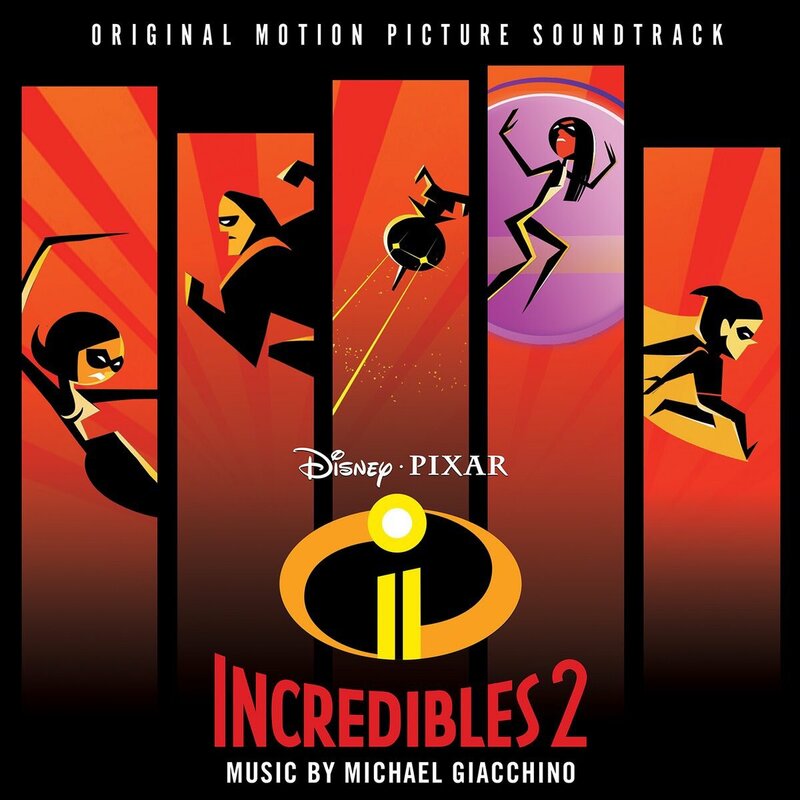 Incredible, Elastigirl, Violet, Dash, Jack-Jack and even Frozone as they teamed up to fight against the Underminer in a stunning opening battle; it was almost like we had never parted. I spent the night before my trip re-watching The Incredibles, so obviously the most jarring aspect for me was how stunning the characters and the world looked with the new technology. The super-suits were gorgeous and fit the characters bodies just right; their hair and facial expressions and all the visual effects were jaw-droppingly gorgeous and realistic. The action was also fast-paced and I barely had a moment to breathe as the family found unique ways to put the Underminer to a stop before he completely destroyed the city. Though, it turns out the people of Metroville weren’t very keen on the Parr family helping to save the day. In fact the officers who apprehended the family after they thwarted the Underminer’s plans were convinced that if they had simply done nothing, there would have been less damage to the city. It’s clear the public is still not interested in supers or what they could do for the world. Rick Dicker, who is head of the Super Relocation Program and helped the Parr’s out in The Incredibles, makes a few cameos in the first 15 minutes. Dicker shows up to help the Parr family for the last time, as his program is now disbanded. The family is left at a dingy hotel to try and figure out what to do with their lives. How are they going to move forward? It’s hard for them to accept everything at first, surely Bob and Helen aren’t going to return to their mediocre civilian lives, not after Bob left his boring job in the first film and the family got to use their powers out in the open after years of secrecy? Cue Frozone, who appears just at the right moment. He offers a shiny beacon of hope to Helen and Bob: a business card from Winston Deavor, tycoon and superhero enthusiast, with an invitation to come meet him at his headquarters. The other catch? He wants them dressed in their old super-suits. Bob is ecstatic, and nearly bursts through the walls of the hotel to find it, but Helen is cautious after their most recent kerfuffle with the law. Winston gives a presentation to the trio about how he wants to bring supers back into the spotlight and that Helen AKA Elastigirl is the woman for the job. It takes a lot of convincing from Bob, but Helen finally accepts. The rest of the footage from the press event showcased Helen as she was thrown into the spotlight, trying to make a living for her family while also being the new face of the superhero renaissance (complete with an impressive runaway train/chase sequence). We got a more detailed look inside the Parr’s new home, courtesy of Winston. Goodbye sad hotel, hello gorgeous mid-century modern mansion! There were also a few scenes that highlighted some of Jack-Jack’s strengths as he faced off against a new enemy. 30 minutes is obviously not a lot of time to judge a film, and despite it leaving off in a pretty safe place, who knows where the story will go or what will happen to some of the characters along the way. The first half hour set up the characters perfectly and what you think will happen for the remainder of the story. It’s still unclear what trouble Helen is going to come across in her attempt to make a good name for supers or if Winston and Evelyn are as good as they appear to be. Also, is Bob going to be able to cope with being a stay-at-home dad and take care of his family? I’m curious to see how the new villian Screenslaver, who appeared in the most recent trailer, will come into play. And make sure you come back for some more coverage from my most recent trip to Pixar! On April 4th and 5th I visited Pixar Animation Studios for an amazing two days that were solely dedicated to the Incredibles 2. While I was there, basking in the magic of the studio, I attended presentation after presentation on the making of the sequel, got to see the first 30 minutes of the film, was one of the first audiences to see Bao (the new short that will be playing in front of the film come summertime), and I even got to do arts and crafts as I created my own superhero (a moment I will cherish for the rest of my life). 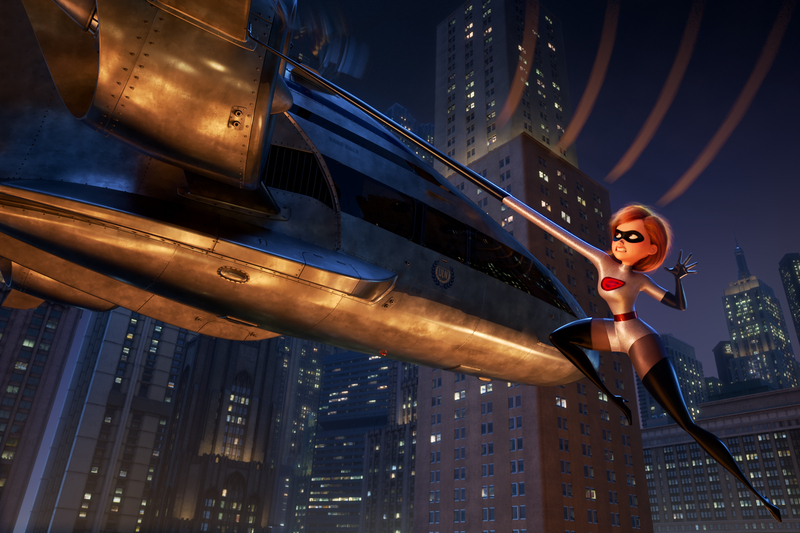 Here are some of my favorite things I learned about the making of the Incredibles 2 from all of the filmmaker presentations that will definitely have you dusting off your super-suit, anxiously tapping your toes, and eyeing the calendar as you count down the days until June 15th. Despite it being 14 years since The Incredibles, Brad Bird set the Incredibles 2 right after the first film because he “wasn’t interested in a college aged Jack-Jack.” He thought the Parr family would stay more iconic if everyone situated themselves and stayed the same. If it worked for the Simpsons, it would work for the Parr family. In the sequel Bird wanted to explore the roles of men and women, especially the importance of fathers participating, allowing women to express themselves through work and that they’re just as vital as men, and he even wanted to shine a light on how we’re constantly being controlled by screens. Bird was also keen on depicting the difficulties of parenthood and how parenting can be seen as a heroic act. In order to build this new world from the ground up, Ralph Eggleston and his brilliant team of designers had to think about details that wouldn’t even be featured in the film, such as a mosaic that was included on the side of a hotel or another fancy mosaic that was in Bob’s new office. If it was featured in the film, only a brief glimpse would make it on screen. Like every film at Pixar, the Incredibles 2 began in the story department. The story artists essentially create a story reel, which is a drawn version of the film. Their main job is to communicate what the film would ultimately be on screen, AKA Brad Bird’s final version of the film. The boards consist of relatively quick drawings edited together with temp music, sound, scratch, etc. The board artists approached the action scenes through the character standpoints. 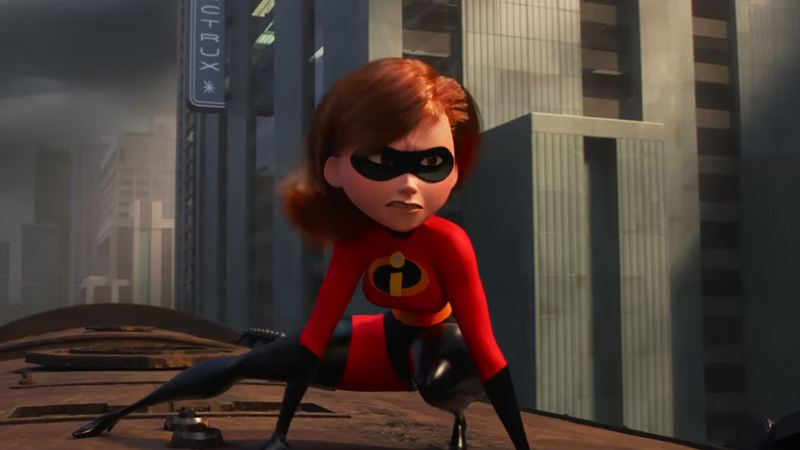 How does a character specific to that world and film, such as Elastigirl, approach the situations? How can she make that action unique from what’s seen in copious amounts of other films in Hollywood? By making it more specific to Helen and her powers, it made the action scenes better. Collaboration is key in Pixar’s filmmaking process and it’s important that everyone’s on the same page about what they’re looking at, especially with all of Ralph Eggleston’s designs. Once things are taken into the storyboard phase it can get super tricky. That’s where pre-vis comes into play. Pre-vis builds simple models and prototypes everything quickly into a computer so that everyone at the studio who’s working on the film can have it as reference. That way, all the of the background, character designs, props, etc., all remain consistent and no one is creating new designs. Pre-vis creates maps (mapping out the action in the scene, where characters need to be at certain times), floor plans of the new locations, and even compiles all of Eggleston‘s work so that it could be used by everyone in all of the different departments throughout production. It’s also important for Brad Bird to see those sets created by Eggleston in the storyboards. The reason why this is so crucial is because things can be tested in the board stage before it’s sent to the other departments. You don’t want to be making changes to the backgrounds or character designs once it gets to animation. The sets department at Pixar is responsible for a plethora of different elements in each film – they’re the reason why each Pixar film looks so unique and stands out from some of the other animated films released by other studios. They make all the props the characters interact with, the interior and exterior sets, the vehicles, the skies, and even the set extensions. The department is so big it has be to be separated into five sub departments: modeling, set dressing, shading, set extensions/skies, and sets tech. The modeling department are the sculptures and upholsters – they make the world feel more natural and more real in a computer, which means they basically have to touch literally all the props in the film (disrupting all the straight lines that are normally made in computers and making them look more natural). The set dressing department arranges everything, taking all the props made by the modeling department and filling in the empty spaces in each scene. They fill up places with furniture and handle essential story point objects (a sink full of dirty dishes, a table full of breakfast in the morning, etc). The set extensions/skies department deal with the world that’s far away from us. The big cities in the background, the big/broad skies, etc. And finally, with set tech, they are the unsung heroes of the set department. They do a lot of coding and support and they’re the ones who keep everything running. For the Incredibles 2, they created a 360 degree camera that showcased the whole world in each scene; they even created the parts of the set that didn’t make it in to the final shot. For example: the set tech’s prune each set based off the framing. Everything that’s not needed for an exact shot gets taken away and turned off, so it doesn’t have to be rendered or run through the pipeline. It’s all done to save space and memory and it’s usually applied on a shot by shot basis. Just like the architecture in the film, the clothes are also heavily influenced by mid-century aesthetics. Deanna has a passion for vintage styling, particularly mid-century modern, and she incorporates the styles she loves into her daily wardrobe (when I saw her at Pixar she wore a gorgeous vintage shirt and skirt and looked like she had just traveled through time to give us the presentation) and that’s one of the reasons she was brought on to do costume design on the Incredibles 2. Deanna’s creative process included two different components: being creatively theoretical, “which is all about abstract thinking through storytelling” and being creatively practical, which is obviously centered around being clever and efficient (which is more focused on dressing all of the background characters). Bryn Imagire, the Shading Art Director, returned to the world of the Incredibles after designing costumes on the first film. Since the sequel isn’t really set in a specific time period, Brad Bird was OK with the team referencing current fashion since some characters wouldn’t work well within that time period, such as Bob wearing his iconic jeans and a T-shirt. Technology now is more advanced than it was 14 years ago, so even that affected the clothes and the shading and how the garments fit the characters. Looking back, their original super-suits stretched a lot and didn’t feel like they were worn by the characters; they just looked like they were pasted over their bodies. So their new suits in the Incredibles 2 are made from actual patterns and have real pattern textures, which means they don’t stretch around as much and they actually feel like real fabric. Make sure you stop by again later in the week – I will be posting about the first 30 minutes of the Incredibles 2, going in-depth about the making of Bao, writing a review of the short film, and also sharing a bunch of other things I experienced during my trip to Pixar earlier this month. In case you weren’t already counting down the days until June 15th while doing a million cartwheels around your home (OK, that one might just be me); on top of all the excitement Disney/Pixar just released a brand new poster for the Incredibles 2 today. And tomorrow the studio is debuting a new trailer! Could it get any better than this?! 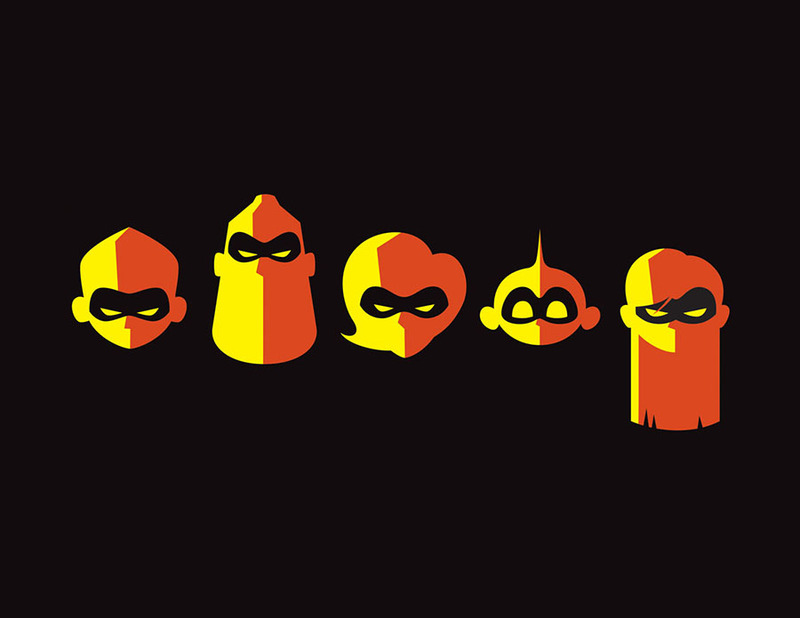 Front and center is our favorite superhero family: there’s Mr. Incredible, Elastigirl, Violet, Dash, and Jack-Jack charging towards the camera. Jack-Jack, complete with laser vision, is after his arch nemesis: the raccoon. They’re all wearing their iconic super-suits, obviously designed by the fabulous Edna Mode, who is standing proudly towards the right. There’s also Frozone, back in action, and a slew of other new supers towards the back. Looming above the family is an ominous new character who creepily watches over the action in the poster. Stay-tuned for tomorrow’s new trailer and make sure you check us out next week for more information from my trip to Pixar. And don’t forget your super-suits!